I'd stick it up my arse. Genius. 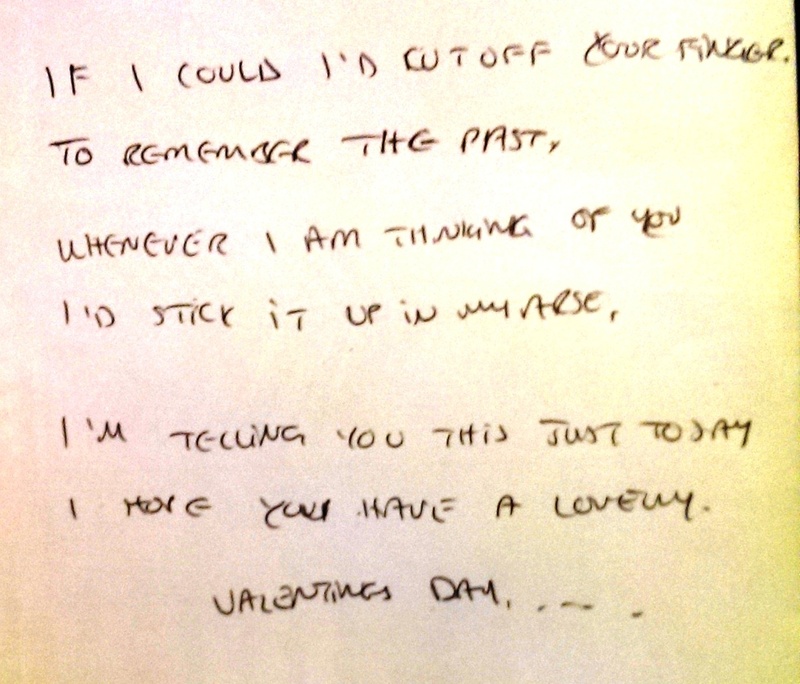 And it look’s like Ally’s handwriting. But I can’t be sure.